Need to rent a cabin in Big Bear? It's fast and easy with our online reservations. Big Bear vacation rental homes and cabins are the most popular choices when it comes to a great family vacation. We also carry a line of wonderful gourmet Big Bear luxury rentals, homes and estates many which are lakefront. They come in all sizes so you can bring the whole family, even Grandma and Fido, and some of our rental are large enough for two families to share. Many of the lakefront rental homes in Big Bear are luxury estates with granite kitchens, stainless steel appliances, hardwood floors and modern mountain decor. You'll find that our lodging comes ready to go when you are and you just have to bring the food to fill the fridge!. Big screen TVs, views, hot tubs, decks, BBQs and Internet are in many of our homes. During the summer months, you will want to plan a longer vacation as there are so many things to do in Big Bear. The lake is big and is what it is about when you vacation in warmer months. You will find every imaginable water sport possible. The newest are the paddle boards and recently in the marina, a wakeboard park was added. What is cool about Big Bear's wakeboard park is that you don't need a boat. Imagine getting towed by an old fashion ski tow rope instead of a boat. You can learn tricks and fly over wakes, yet there is no boat! Check out the video. For the family vacation you might want to consider staying right on the water. Some of the Big Bear luxury rentals that are on the water come with their own boat docks, beaches or stellar views. If you're a fisherman, then you know that having your own boat dock to pull up to is important. For the families that vacation together having the sand out your front door is also a great thing. The lake is perfect for waterskiing and you can now parasail from soaring heights, that is if you're not afraid of them. Hiking through the hills is also a popular past time. One of our favorites is to visit the Discovery Center, the building with the dome, and see what kinds of naturalist tours they have going. They change every week so you do need to stop by to get the weekly schedule. Recently, a zipline tour through the forest was built. You can go almost above the treeline to 9 different stations on the pulley and cable. Over at Snow Summit, the sky chair operates and it will take you to the top of the mountain for the view, and you can stroll down... now that's fun with minimal sweat. At the Bear Mountain resort, there is a wild animal rescue which is great fun for the kids. They can learn about the care rehab the lost or injured animals get while they are at the zoo. Just in front, is the Big Bear golf course. Bring your clubs as the 9 holes are 7,000 ft. so your ball will fly further. And your game will be greatly improved! 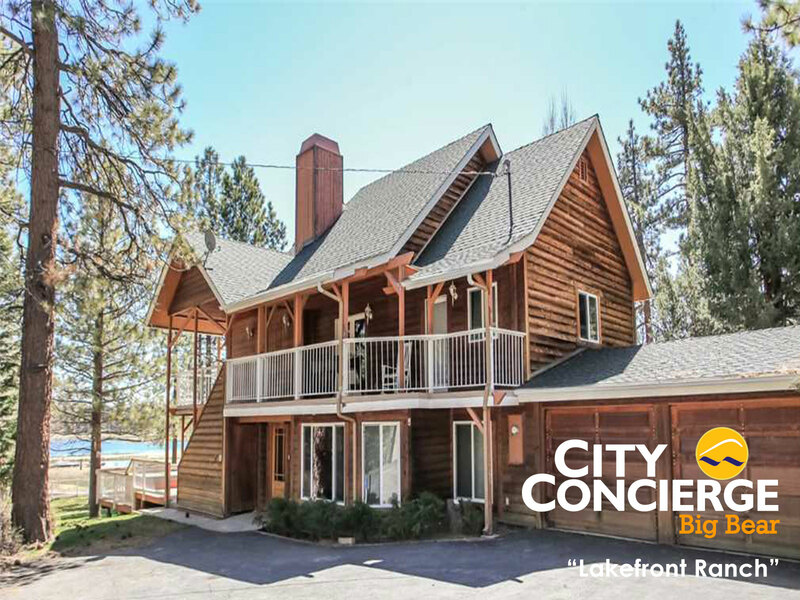 City Concierge is a vacation rental agency and we can assist you in making reservations for one of our Big Bear cabin rentals and the activities in town. Each of our properties is custom, comes complete, and if you see it on our website, it is available for your specific vacation dates. As the only travel service in Big Bear, we can help make recommendations via our telephone concierges. Give us a call. We're here to help you have the best time on your getaway to Big Bear Lake California.